Right there you have a body and two sleeves ready for joining (I neglected to bring waste yarn to the beach, so this is where I'm stopping me for the morning - it's a challenge to hold underarm stitches without holders or waste yarn). Then I'll get to do my favorite part of sweater construction: the yoke. 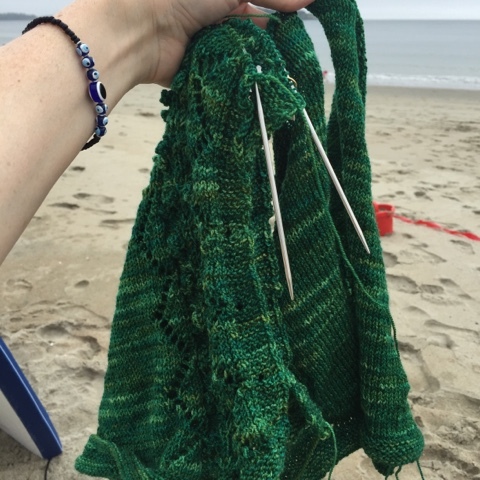 How cool is it that working various decreases in certain spots will turn three tubes into a well-fitting sweater? I may have knit like a crazy lady. Don't worry! I still managed to jump around in the Atlantic. What about you? 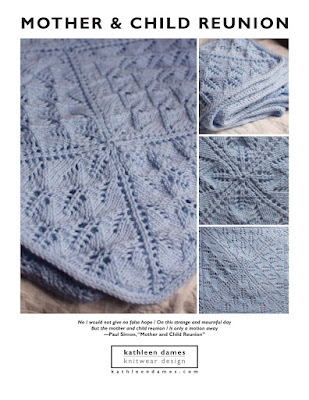 How is mid-July going and what are you knitting? 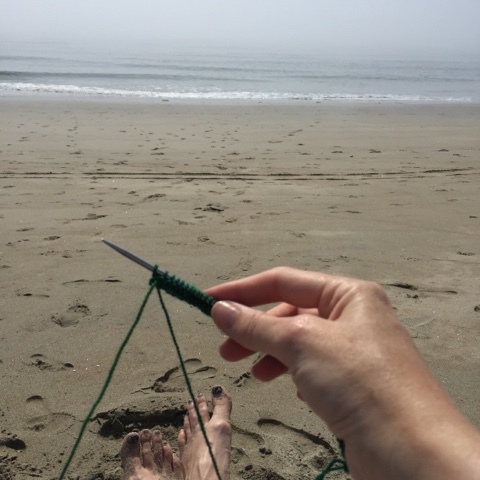 Tell me all about your summer knitting adventures in the comments below. survey: Do you have a favorite romantic couple?